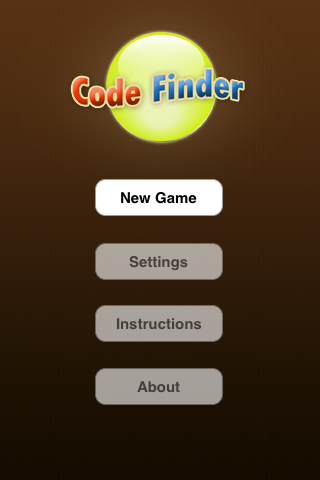 Code Finder is a simple code breaker game. Your goal is to find the hidden code. This game works similar to the well known Master Mind! 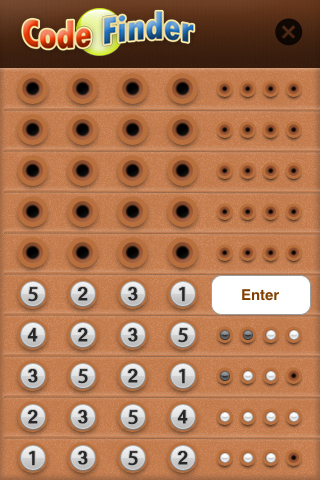 It has the option to change the Mastermind color pegs into number pegs. Remember to read the instructions first. The big question remains, can you break the code?